I was going to do a full write up, but due to ill health I've been unable to. 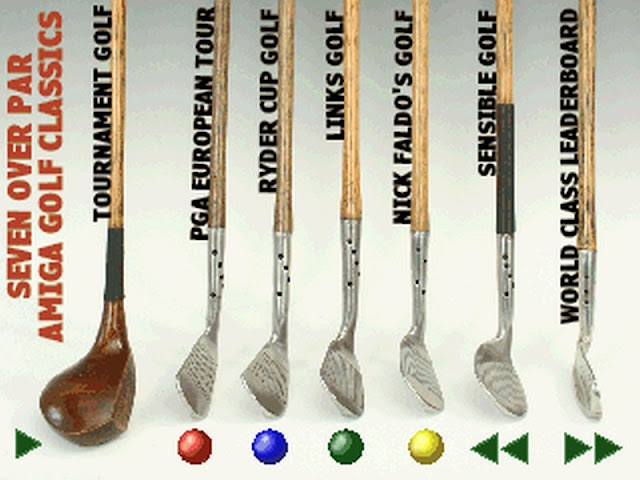 But what I can say is, Amiga Jay has tried to get every golf game he wanted on the CD, but they either refused to load with CD32Load or needed keyboard commands somewhere in the game. But still, even with all that negativity it still is a lot of golfing entertainment on the CD32 in one pack, even if it's not my kind of sport! Another World Survival - Pico-8 Demake of Another world with a twist.